Are you looking to do some remodeling in your home? This is a great article to help you determine on what remodeling projects tend to pay off for long term value. If your home is dated, replacing light fixtures can be an easy low cost project. Kitchens and master baths are the first place to start for major overhauls. Click on the link below to read the full article. Smyrna/Mableton – If you have been sitting on the sidelines to sell your home waiting for the market to turn, now is the time you need to at least revisit putting your home on the market. Inventory levels for the last quarter vs last quarter prior year are down over 29.8% while pending sales are up almost 5.6%. Supply is down, while demand is up!! Great news for home sellers. Its also a signal for buyers to make a decision while interest rates are still low and before demand increases even more taking away the limited supply of homes. 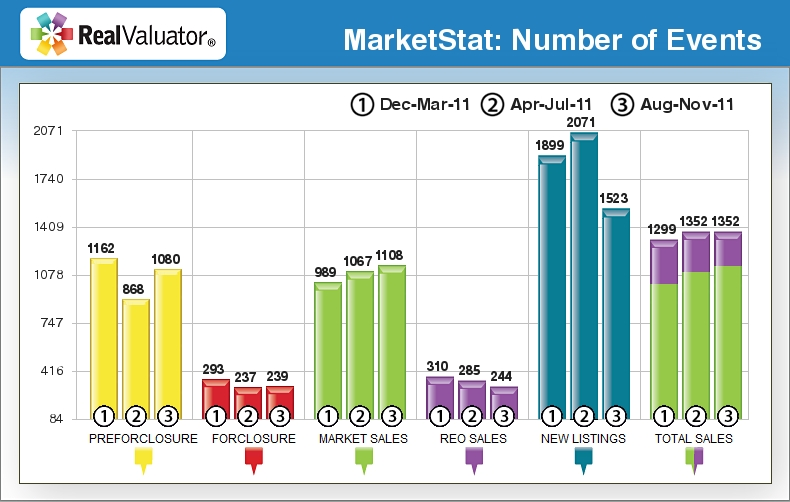 Check out the live chart below to see the supply and demand in the Smyrna/Mableton area. Contact Dan Petersen at Petersen Partners/Prudential Georgia Realty to discuss a sales and marketing strategy to sell your home and get you into your next home! New Charter School Coming to Smyrna? The Smyrna Academy of Excellence (SAE) is a new charter school currently under development in our community. Its mission is to be the most exceptionally safe, innovative and rigorous school in Georgia. The school is scheduled to open in July 2013 for K-6th grade. Over the following 6 years, the school will expand to K-12 until it reaches capacity at 2,000 students. · It will be created, managed, governed and led by Smyrna educators, parents and residents. · It will be a tuition-free charter school that works independently of the Cobb County Board of Education, but with its approval and cooperation. · It will be a STEM school, meaning it will be driven by a Science, Technology, Engineering and Math curriculum with social studies and language art integrated in to provide a fully rounded educational experience. On May 1, SAE will be submitting their petition to the Cobb County Board of Education. If you would like to voice your support for the new school, please visit www.saesupport.org. Here you can sign the SAE online petition and pre-register your children (no obligation). Additionally, SAE has offered to make an informational presentation to Williams Park residents. If you are interested, contact Candace McCreight at cmccreig@hotmail.com. 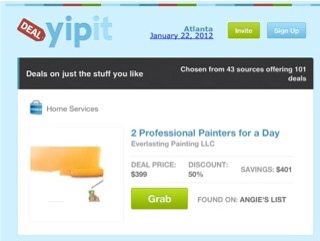 Save 50% on two painters for a day. Found this deal on www.yipit.com today. If you need two painters for a day, grab it! Will the Health Insurance Reform Law Impose a 3.8% Tax on Home Sales? Chances are, you may have received emails warning that the health insurance reform law contains a provision for a sales tax on homes. Per the National Association of Realtors, this information is false. Beginning in 2013, the health insurance reform law will impose a 3.8 percent tax on unearned net investment income, which includes some (but not all) income from interest, dividends, rents (less expenses), and capital gains (less capital losses). The tax falls on only those individuals with an adjusted gross income above $200,000 for single filers or $250,000 for couples filing jointly. The tax will not be imposed on all real estate transactions. Those claiming otherwise do not understand the interplay between the health insurance reform law and existing real estate tax law. The exemption for the first $500,000 of capital gain from the sale of a principal residence remains intact and is not impacted by the new law. The National Association of REALTORS® has prepared an informational brochure that could be relevant to you . Bloomberg gazes into the crystal ball to opine on the impact of the rise in guarantee fees at you-know-where. Fannie Mae, Freddie Mac and the Federal Housing Administration will soon charge more to guarantee home-loan debt, starting with an increase of 0.1 percentage point at Fannie Mae and Freddie Mac in April. Costs will rise as much as 0.45 percentage point over the next two years, according to Nomura Securities. “The greater fees suggest that Congress and President Barack Obama’s administration are willing to bet the housing recovery is far enough along to withstand the rise,” the article states. The AJC reported this week that foreclosure filings for 2011 has dropped with about a 16% decline from the perious year. There may be an increase this year due to the slowdown of the foreclosure process so the banks could sort out the mess they had with all of the robo signings. See the full article here at the AJC. For sales from 9/10 through 11/11, sales of townhomes in the Smyrna area have gradually increased over the last 13 months with inventory levels dropping significantly. The chart below updates when new information is posted. If you would like to have a customized market report specific to your area, home type and price range, contact Dan Petersen at info@petersenpartners.com or visit us at our website at www.petersenpartners.com. All Townhomes in Zip Code 30080 and 30082. The FHA will extend its temporary waiver on its anti-flipping rule. This will basically allow investors who are flipping homes to sell to buyers using a FHA insurned financing product within the 90 period that the home was originally purchased. Check out the full article at Inman news! REO Sales on the decline in Forsyth County, while Market Sales continue to rise. 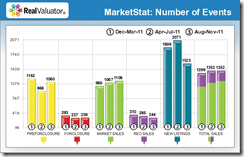 REO Sales on the decline in Forsyth County, while Market Sales continue to rise. The major trend to notice is the steady decrease in REO sales (839 sales), as compared to the steady amount of Market Sales (3,164). With nearly a 4 to 1 margin, this is an indication that the market is getting closer to a correction where banks are moving less inventory, and the market is set to drive the inventory price.